The Common Law’s firm horizontal guarantees of mutual respect and protection are a permanent threat to the efforts by arbitrary rulers to harness men and women into the unnatural and vertical arrangement known as the State. That is why every government and religion seeks to annul the Common Law with their own authority and statutes, in order to reduce free peoples everywhere to the status of regimented, obedient tax paying wage slaves who serve a ruling clique. Ascertaining the truth is always laborious, but ultimately the process is best guaranteed by a body of jurors than single adjudicators. Common law juries, and not individual judges, are invariably a better guarantee against the abuse of Rules of Evidence and just procedure in a courtroom. 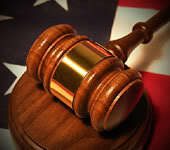 Judges routinely waive just procedure and rules of evidence, and are authorized to do so by statute law. In Canada, “crown” appointed judges even have the power to alter or destroy court records, silence one party in a dispute, and ignore due process altogether! The pre-trial period is designed to allow both sides the opportunity to present their evidence and arguments to one another in order to seek a settlement prior to a Court appearance. This presentation is usually referred to as “Examination for Discovery” or Voir Dire (“to see and to say”), where either party can demand any relevant evidence or document from the other. A Statement of Claim must be produced by those bringing a case, known as the Plaintiffs. Their Statement sets out in point form the basic facts of the dispute, the wrong being alleged, and the relief or remedy being sought. After taking this oath, the Jury members, Court Counselors, Sheriffs, Bailiffs and Reporter will then convene and receive instructions from the Adjudicator concerning the case. The Adjudicator is not a presiding Judge or Magistrate but an advisor to the Court, and has no power to influence, direct or halt the actions or the decisions of the Jury or other Court officers, except in the case of a gross miscarriage of justice or negligence on the part of other Court officers. Thus, the Court is self-regulating and dependent on the mutual respect and governance of all the Court officers and the Jury. Note: Step Seven can still occur even if one side, usually the Defendant, is not present in Court and refuses to participate. Such a trial, being conducted “in absentia”, remains a legitimate legal procedure once the Defendant is given every opportunity to appear and respond to the charges and evidence against him. An In absentia trial will commence with the Plaintiff presenting his opening argument followed by his central case. The Court-appointed Defense Counsel will then be given the chance to argue on behalf of the absent Defendant, if that is the wish of the latter. Following the announcement of the Verdict and Sentence, the Adjudicator either frees the Defendant or affirms and authorizes the decision of the Jury in the name of the community and its Court, and instructs the Sheriff to enforce that sentence. The Adjudicator then dismisses the Jury and formally concludes the trial proceedings, and the Court is concluded. The entire record of the Court proceedings is a public document, accessible to anyone, and can in no way be withheld, altered or compromised by the Adjudicator or any other party. In the Common Law, contrarily, the Court is defined not by contending individual interests, but by the needs of the community as a whole, and by justice as defined by those who have suffered from the lack of it. A bedrock of collective morality shapes how the Common Law operates, according to a simple issue: Will this legal decision and precedent best serve the community as a whole, and those within it who are the most vulnerable or who have suffered or been victimized, or who may be? Men and women have a natural tendency to resolve their differences and mediate disputes among themselves, when non-coerced and left to themselves to apply their own natural sense of right and wrong. Despite this, the State has under threat of force violently conditioned people to automatically deny their own judgment and defer to external authorities whenever they are in dispute or they seek justice. And so a long “relearning of freedom” is needed for Common Law to become a functional part of human life once again. Part of the power of such a Sheriff is that he can deputize anyone to assist him, including other police officers and agents of the very institutions being named and tried in Common Law courts. This is an especially important action and tactic during this, the early stages of the development of our local Common Law courts, since it uses the very strength of the system we are opposing against itself. This is the bigger and crucial point of that particular confrontation between Court Sheriffs and Civil law policemen, which must always be visible and televised to the world as it occurs: that it is a chance for the people to learn directly that those policemen and soldiers who provide the muscle for the system are not exempt from the authority of Common Law, and must ultimately make a choice concerning who and what they serve. The moral and propaganda value of publicly posing such a question is inestimable. The aim of Common Law is to re-establish direct relations of mutual aid among people by placing justice and the law within their reach again. And that devolution of power will simultaneously disestablish all hierarchical institutions of state, business and church which control and mediate human life as a power over people. A process so profound and revolutionary can only be enacted from the grassroots, by many people who have relearned freedom and use it to take action in their own communities to govern themselves as their own judge, jury and police. On the basis of this good renewed soil, a great harvest will one day arise in the form of new and local Republics of Equals, in harmony with itself and all Creation. The Common Law is a catalyst and a means towards achieving this political and spiritual end. For now, as we struggle to give birth to the Courts that are like a great plow breaking open the dead soil of the status quo, we must never forget that much of what we have been taught will betray us, for we have been raised as slaves to think and operate under laws that serve the few. Everything must be rethought and retried according to the two great Principles of Natural Law: All things are placed in common for the good of all; and therefore, the law shall cause harm to no-one. For hard copies of this Common Law Court Manual, write to itccscentral@gmail.com. Donations for these copies can be through the ITCCS paypal system at www.itccs.org.